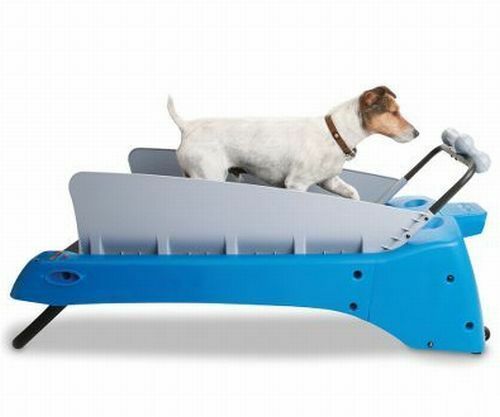 With about 53% of the canine population weighing in at obese levels, a cottage industry of dog exercise products is developing and growing fast. This treadmill caught our eye both for its good looks and a price tag that will certainly help wallets get skinnier. We’re still fans of encouraging people to get out and play with their dogs as the physical fitness benefits are accompanied by human-hound bondingm too. Plus, the necessary accessories are much softer and cheaper. This entry was posted on Tuesday, October 16th, 2012 at 9:29 AM. It is filed under Blog. You can follow any responses to this entry through the RSS 2.0 feed.